The William Oliver Lofts building stands 16 stories high and is situated right along Peachtree Street in the heart of Atlanta’s downtown. Originally built back in the 1930s as a commercial high-rise, it wasn’t until around the mid 1990s that the William Oliver building was converted into residential use, which now includes 115 individual living spaces. The building features 8 different floor plans that range from studios to two-bedrooms, and most lofts for sale at The William Oliver building include anywhere from 465 to just over 1,300 square feet of total living area. Typical interior finishes include wide open layouts, hardwood flooring in the main living area, exposed beams and pipe work, high concrete ceilings, and a few updates here and there to the kitchens and bathrooms. The William Oliver building also includes a number of lifestyle amenities as well, like a rooftop swimming pool, a resident lounge, a fitness center, and even a business center and concierge service. For more information about William Oliver lofts for sale, give us a call today! 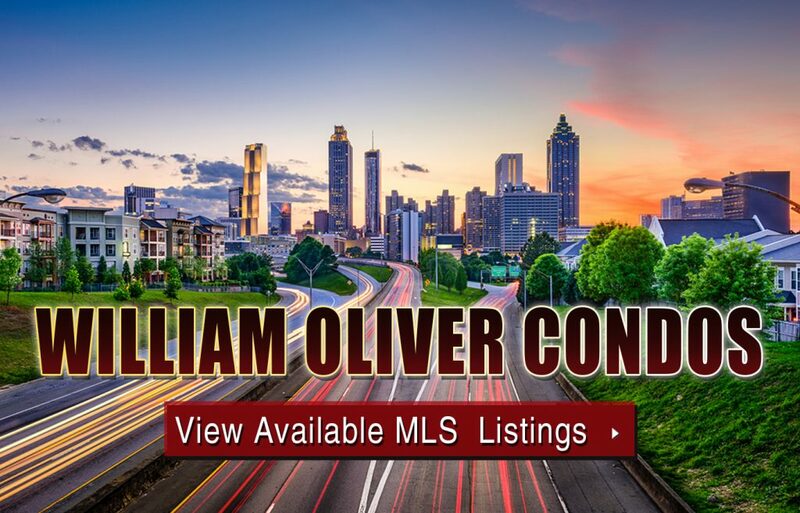 Listed below are recently closed sales at William Oliver Lofts in Atlanta. Whether you’re thinking about buying or selling a loft at William Oliver Lofts, checking to see what other comparable properties have sold for in recent weeks and months provides helpful insight into current market conditions within the community. For more information about William Oliver Lofts for sale or for a complete list of recent homes sold in the neighborhood, contact The Zac Team today! Can’t find what you’re looking for in Atlanta’s William Oliver Lofts building? Start browsing other Atlanta real estate for sale or give the Zac Team a call at 404.564.7272 for help with your new home or condo search today!